Home > Free Gift > It’s Back – Free Joma Jewellery Bracelet – This Weekend Only! It’s Back – Free Joma Jewellery Bracelet – This Weekend Only! Back in time for Christmas, we are pleased to re-launch our Free Joma Jewellery Star Struck Bracelet Promotion! Shop with Lizzielane this weekend and we’ll give you this Joma Jewellery Bracelet for Free! 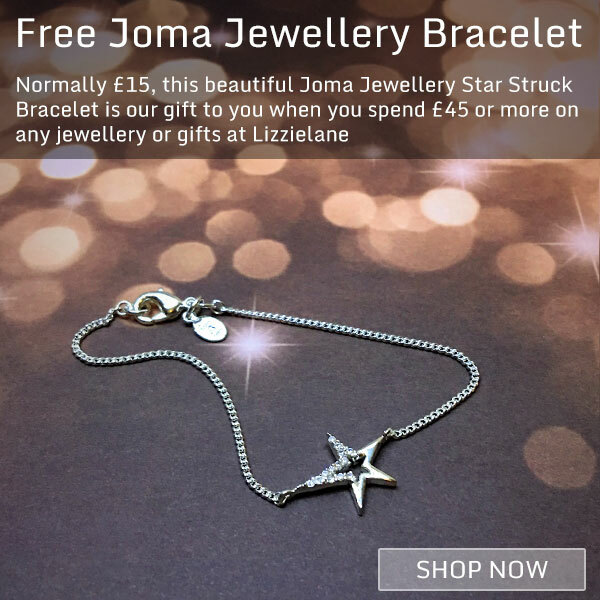 Simply spend £45 or more with Lizzielane and this beautiful Joma Jewellery Star Struck Bracelet is our gift to you! Our Free Bracelet offer starts 12pm Friday 1st December and ends midnight Monday 4th December or whilst stocks last – Be quick because we had to end the promotion early last time as we completely ran out of the free bracelets!